I have been at the United Teen Equality Center for nearly a month and a half now, immersed in the day-to-day operations of an organization that empowers young people in Lowell, MA to transform their lives by “trading violence and poverty for social and economic success”. 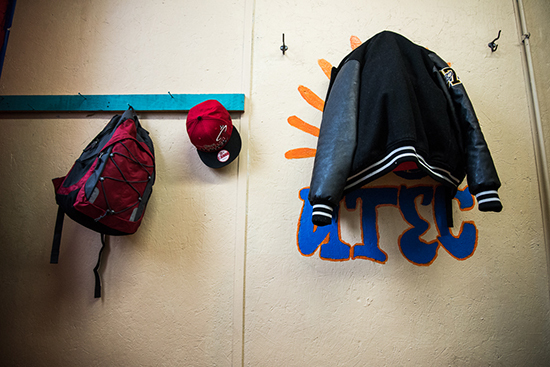 Working with and embracing the most disconnected youth in the community is of course no simple task, and UTEC’s model must be multifaceted and dynamic. The staff of UTEC play many roles: streetworkers reaching out to young people “where they’re at”, whether that be in gangs, in prison, on the streets, or at home; teachers who run GED and high school diploma programs; enrichment and organizing coordinators who facilitate basketball tournaments, social justice workshops, and Get Out The Vote campaigns; work crew bosses who employ youth in catering, construction, and mattress recycling companies; ‘Transitional coaches’ who manage cases on an individual basis from the first day a youth signs up at UTEC, connecting them with resources in the community, accompanying them on court dates, and simply acting as a friend and mentor. I still learn new things every day about the model that UTEC puts into action, because, in some ways, the model is to have no model. Every young person is unique; each has a different story, different challenges, and different resources and skills with which to face them. More distinctive, and perhaps more important, than the things the staff and youth at UTEC are doing is the spirit in which those things are done. Every morning at 9am, ‘Eye of the Tiger’ plays on the center’s loudspeakers, and all staff and young people in the building gather in the gym to share answers to the “question of the day,” do icebreakers, and set the vibe for the day. The staff offices surround a drop-in lounge where ping-pong and pool tables are in use all day. 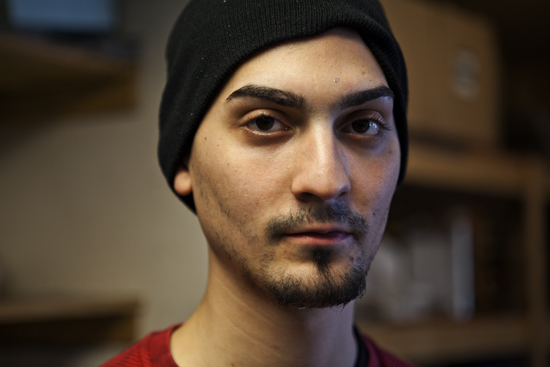 The youth who join programs at UTEC are told that they will never be given up on; the staff remain supportive and judgment-free, no matter what challenges the young people face or questionable decisions they make. UTEC knows that some of the young people it caters to are suspicious of institutions, have run up against and fought institutions all their lives. It strives to be a different kind of institution, one that they can embrace and feel ownership of. 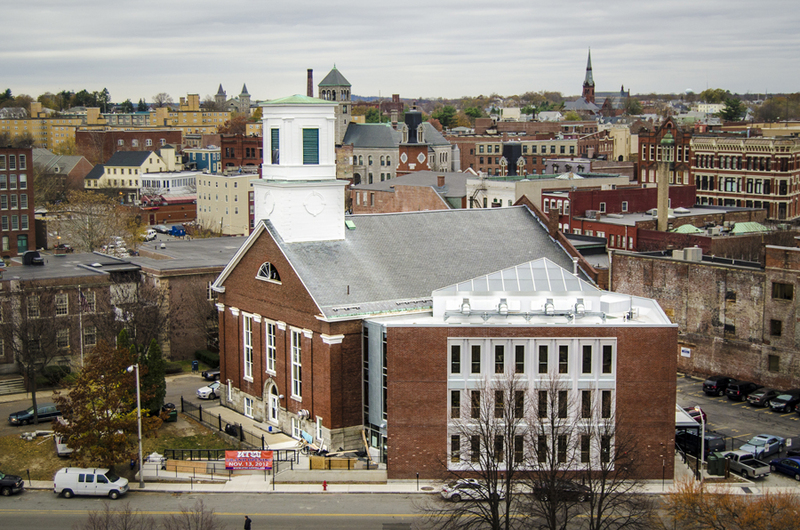 Nowhere is that ownership easier to see than in the building UTEC resides in, a 173-year-old church in downtown Lowell, renovated in large part by UTEC’s youth employees, and now certified as LEED Platinum sustainable and energy efficient – the oldest such building in the country. 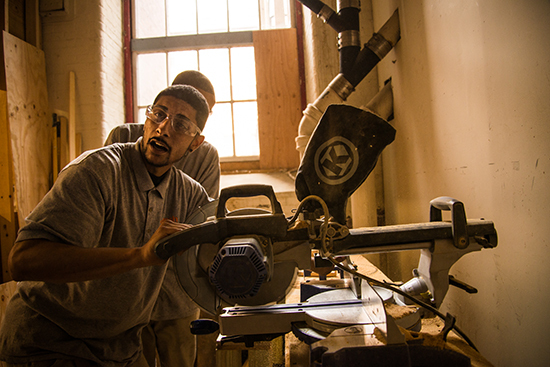 Since its beginnings as a simple drop-in space in Lowell’s only gang-neutral neighborhood, the fundamental core of UTEC has been to be something different, providing a social and physical atmosphere that these young people don’t find elsewhere. This remains true today, though in the spirit of “thinking big” it now also means coming to school and work in a building with soy insulation, an electric car charging station, and 147 solar panels on its roof. Embracing the “think big” philosophy, within 5 days of being at UTEC I was immersed in multiple media projects for the grand opening of the newly renovated building. Over the past month I have begun to look through all the photos and videos shot at UTEC over the past 13 years, and I created three multimedia pieces for the Grand Opening on November 13. After over 300 people, including the governor of Massachusetts, Deval Patrick, toured the building guided by youth and staff, they sat down at dinner tables where the church pews used to reside, now outfitted with a gym floor and state-of-the-art A/V system, for an awards ceremony, entertainment, and fundraising. The ceremony opened with a 5-minute piece documenting the renovation of UTEC’s current home and introducing the teen MCs for the evening. Later, another video paid tribute to the work done by some of UTEC’s teens advocating locally and in the state capital for a bill to lower the voting age to 17 in Lowell municipal elections. Lastly I shot a very short video introducing the two young women jointly receiving the first Youth Transformation of the Year Award, featuring interviews with their friends, mentors, and the mother of one of the young women. As I transition from the work of the last month and a half to more methodical and long-term explorations – and as UTEC explores a newly expanded space and reinvigorated self-awareness – I hope I can expand some of the slices of stories I have witnessed in the month I have been here. After hearing the two young women recounting their stories as they received the Transformation of the Year Award, Governor Deval Patrick said in his remarks: “As complicated, as awkward, as maybe even embarrassing it sometimes is; as overcoming as you feel, it’s enormously important for you to tell your stories. Your story is a powerful story.” I hope that message will resonate with the young people of UTEC, and I hope we can begin to collaborate on telling some of those stories in the months to come.